Last week, Snapchat held its first partner summit, where it described the company’s new approach to standing out from competitors like Instagram. Key announcements included new AR features for lenses, new Snap original content, a multiplayer gaming platform, and a new developer kit to integrate Snapchat stories in other apps (like Tinder). Let’s break down these announcements to understand what the company wants to do. Solving math problems by pointing the Snap camera to a problem. AR effects for monuments, pets, and people. Integration with Amazon.com, – so that you can shop what you see. Integration with Shazam to identify songs. So what’s the motivation behind building these features? Well, Snap clearly wants you to open its app more often; and it’s trying to trick you into doing that by letting you use its new camera functionalities for anything and everything you see. But if you’re deep into the Instagram story world, it’s unlikely that you’ll use Snapchat for just these functions. Besides, Instagram’s already testing its own set of new AR-based features. Then there’s the new development kit: SnapKit. With SnapKit, developers will be able to embed some part of Snapchat experience in their apps. This means that, if integrated, users will be able to directly share content from Snapchat in third-party apps. 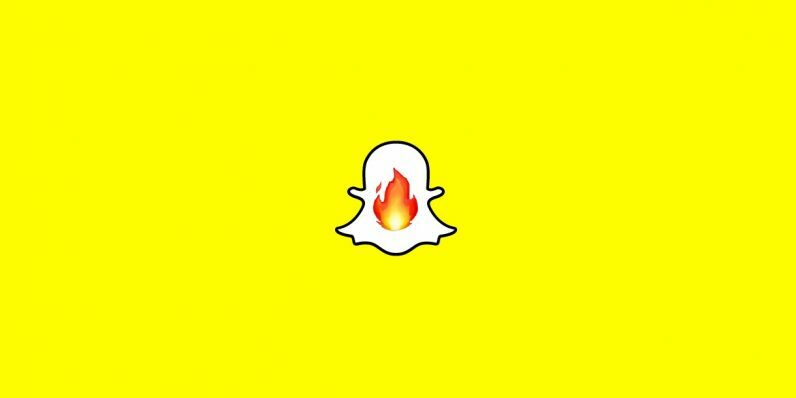 Snap has already onboarded Tinder, which will implement SnapKit to let users post stories to their Tinder profiles. Netflix has also agreed to integrate SnapKit into its platform so users can share the show they’re watching to stories. It remains to be seen how popular these features will be with users though. Instagram stories already have this kind of integration with Netflix and Spotify. Other two announcements are far more interesting, and might entice users into spending more time on the app. Snap Originals (which launched last year in October) is getting 10 new shows, including four unscripted ones. The company said the first batch of shows did pretty well; Endless Summer reached 28 million unique views, and 40 percent of the people who saw the first episode of The Dead Girls Detective Agency completed the whole season. While last year Instagram opened up IGTV to creators to make it YouTube for vertical videos, Snapchat‘s relying on well-produced content to draw in viewers. The most exciting announcement was certainly Snap Games – the company’s new platform for multiplayer games. The company showcased six titles at launch which you can play directly from the chat window without any installation. Snapchat‘s hoping that people might want to play a casual game while chatting with a friend or a group. It has to make sure that games are engaging enough for players to play them repeatedly. These new features indicate that Snapchat’s gradually moving away from its ‘camera company’ ethos, and indulging more into content play. Also, as TechCrunch noted last night, it’s sharing notable functions like stories and lenses with other apps to stop copycats from springing up – something that’s played a huge part in stagnating Snapchat‘s growth in past few years. In its Q4 2018 quarterly report published in February, Snapchat announced that its Daily Active Users (DAUs) were stable at 186 million – same as it’s Q3 userbase. As per a study published by Piper Jaffray last year, Snapchat‘s even lost the first place as an app of choice amongst teens in the US to Instagram. With its plateaued userbase in the US, the company’s shifted focus towards India where they’ve launched localized Discover section in four languages, and partnered with cricket teams to draw more people to the app. Personally, I haven’t used Snapchat in a year or so as most of my friends use Instagram stories, but new Snap games have piqued my curiosity enough to give the app another go.